Allelopathy (noun): the suppression of growth of one plant species by another due to the release of toxic substances (Merriam-Webster). Many of the invasive plant species found in High Park are allelopathic, including Phragmites, buckthorn, garlic mustard and dog-strangling vine. 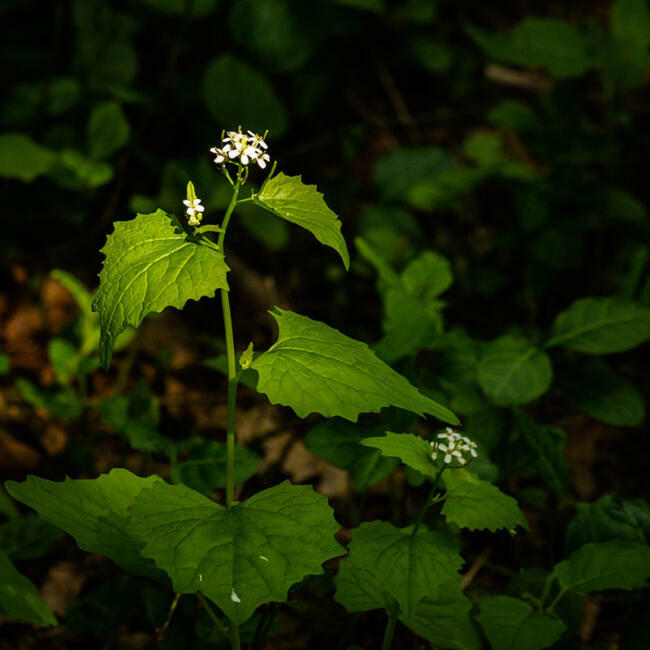 In the case of garlic mustard, it releases biochemicals into the soil that interfere with the symbiosis between native tree roots and the mychorrhizal fungi in the soil. The word allelopathy was first used in 1937 and is a combination of the Greek terms "allelo", meaning "one another" and "pathy" meaning "suffering". Allelopathic garlic mustard. Photo by Andrew Yee.